Bo was raised in a Pastor's home and was called to ministry at kid's camp at the age of 10. He graduated from FSU in 2014 with a religion degree. His wife, Megan, graduated from FSU with a degree in family and child sciences. She now works at Growing Room Child Development Center as an Office Manager. Both Bo and Megan are kids at heart and love serving the children and families of Generations Church. Josh and Marisa Core serve as the Student Pastors at Generations Church. Missions and evangelism is close to their heart as they met each other on a missions trip to Panama, where Josh was called into ministry. Josh graduated from Campbell University with a B.A. in Christian Studies in 2016 and received his credentialing with the Assemblies of God soon after. His wife, Marisa, graduated with from the University of West Florida in 2018 with a M.S. in Mathematical Sciences. She now works in Human Resources at the Department of Corrections, aspiring to become a statistician. Josh and Marisa have a passion to see the next generation encounter God’s love, discover their purpose, develop their gifts, and thrive in their relationship with God. Brent Jones serves as the Worship at Generations Church. He and his wife, Renae met at and attended Southwestern Assemblies of God University. While there, Brent graduated with his Bachelor of Arts in Church Ministries with a specialization in Music Ministry, and Renae is currently finishing her Masters. Their family is originally from Dallas, Tx, but relocated to Tallahassee to pursue God’s direction for ministry. They have a heart for worship to allow the Spirit to move freely, and people to encounter God. Brent believes that worship is not just meant for Sunday morning, but as a lifestyle, and desires to develop men and women as skilled and anointed musicians and singers. 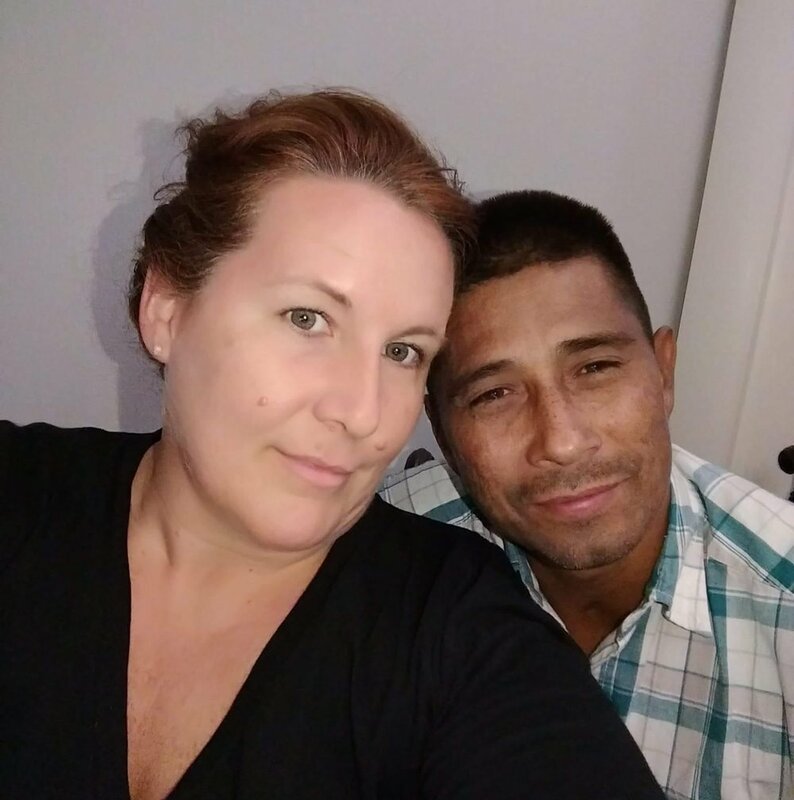 Julio and Felicia are currently serving the Spanish ministry with services on the 1st and 3rd Fridays and connect groups. Their passion is too reach the Spanish community, yet incorporate the English services as well. Felicia and Julio are from Virginia. They have been married for 17 years, and have 2 children and 3 grandchildren. Felicia is a property manager and Julio own a Landscaping company. They joined Generations church 4 years ago. Felicia has worked in the nursery, toddlers and GC kids. Julio assisted with the Spanish ministry. Felicia is currently attending ministry classes with the Assemblies of God, and they both serve and love God. Jesse and Kelly Stephens both grew up in Tallahassee. They met in high school, have been married for 19 years, and have two kids. Jesse is employed by Howard technology and Kelly operates her own hair salon, Kelly's Cottage. They have been attending Generations Church for 11 years, have served in GC Students Ministries for 7 years, and in 2015, launched Ignite Middle School Ministries. Kelly serves on the praise team and Jesse leads the Prayer and Altar ministry. Jesse and Kelly are passionate about students and serving the local church and community, and they are VERY passionate about Florida State football... Go Noles!!! Brad and Melissa serve Generations Church as Staff Pastors. Brad graduated from Florida State University in 2011 with a degree in Religious Studies, and became a credentialed minister with the Assemblies of God in 2012. He has been serving in ministry for over 10 years. Brad currently assists in our GC Students ministry, as well as Connect Groups. Brad and Melissa have a passion for building leaders of the next generation and seeing students find their God-given purpose. Brad is employed by the City of Tallahassee as a Project Coordinator. Melissa received a Bachelor’s Degree in Nursing from the University of South Florida and works as a nursing consultant for Children’s Medical Services. Brad and Melissa are honored to serve at Generations Church. Whit and Linda Sasser have about 50 years of combined ministry experience. Whit started his ministry as a children’s pastor, serving in Auburn and Ashland, Alabama. He most recently served as lead pastor at First Assembly of God in Eufaula, AL where he lost his wife, Jan, of 40 years. Linda is the widow of Pastor Kenny Walker who served as lead pastor of Generations from 1998-2005. She was the children’s ministry director at GC for many years until she turned that over to her oldest son, Bo. Whit and Linda know the Lord brought them together and their desire is to finish strong. They currently serve in GC kids and coach our Junior Bible Quiz team. Linda is also a clinical instructor at Florida State University in the School of Communication Disorders. They are excited to serve the congregation at Generations Church. Debbie grew up in Tallahassee FL, and attended Oak City Assembly of God, now known as Generations Church. She joined the Generations Church staff in July 2006. Debbie's passion is to serve in whatever capacity God, the pastoral staff, and Generations Church needs. Kelsey was born and raised in Tallahassee, FL and grew up attending Oak City Assembly of God, now known as Generations Church. Kelsey graduated from Birmingham Metro Masters Commission with her minster’s license through GCMA. She has had over 3 years experience working in church ministry with office administration and college students. Kelsey joined Generations Church staff in November 2016 as an administrative assistant. Kelsey is passionate about discipling college age students and serving her GC family.